Home » Blog » What’s the Difference Between Warehouses and Distribution Centers? To many, the difference between a warehouse and distribution center may not be apparent but to anyone in the logistics industry, the two couldn’t be more different. They may look the same from the outside, but there’s a vast difference in the internal operations and what responsibilities each are meant to fulfill. If you’re confused about whether you need warehousing or distribution center services, we’ll fill you in on the details. A warehouse is a commercial building that’s used to store goods—they’re mainly used by manufacturers, importers, exporters, wholesalers, and transport businesses, to name a few. Warehouses are used for storage, and storage only. They’re usually large plain buildings in industrial areas. They have loading docks to load and unload goods, but that’s usually the extent of the activity that goes on in a warehouse. They can be designed to receive goods directly from railways, airports, or seaports, and are usually equipped with cranes and forklifts for moving and organizing goods. Some warehouses are temperature controlled, making them well-suited for storing groceries, other perishables, and other materials including raw materials, packing foods, spare parts, and more. 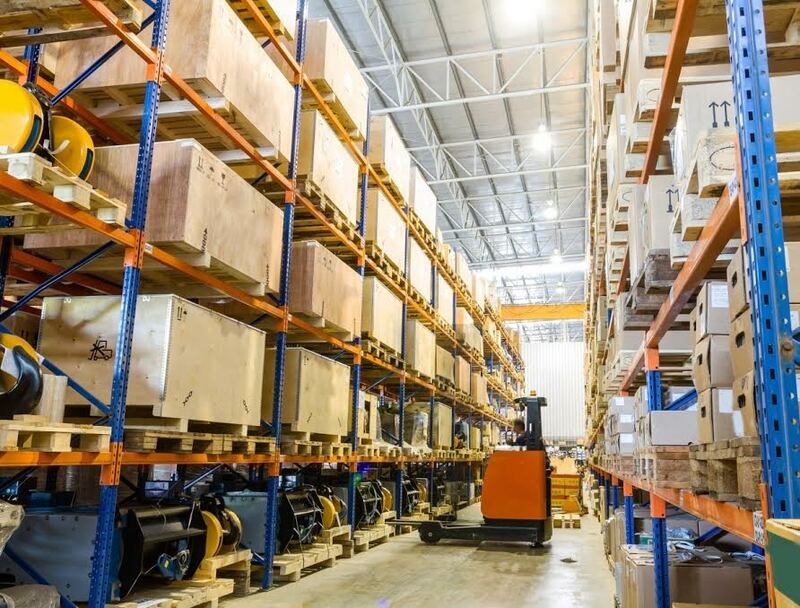 While warehouses can be useful to some, not all retailers use them since they’re better suited for those searching for a more long-term storage option. A distribution centers is a specialized building that’s designed to store products for retailers and wholesalers, to be redistributed to another location or directly to customers. Distributions centers are an integral part of the order fulfillment process, especially for online retailers and e-commerce businesses. The normal route of transport is usually as follows: the retailer ships the product to the distribution center, and then the product is shipped from there to the customer. They’re usually thought of as being demand-driven, since products move in and out at a fast pace. Distribution centers are often located in areas that are easily accessible, like near main roadways and highways; this makes it easier for transport trucks to drop off and pick up items more efficiently. Many distribution centers are part of a larger network of distributors, set up to serve a large area. When it comes to warehouse vs. distribution centers, your choice will depend on your specific needs. Both warehouses and distribution centers are virtually identical from the outside, but their inner workings are vastly different. In short, warehouses are more suited for those that need long-term storage and are not looking for items to be shipped out immediately. Distribution centers, on the other hand, are designed to see the fast intake and rapid shipment of items. While both of these options can be temperature controlled to store certain items, perishables like groceries are most commonly found in distribution centers since they’re not able to be stored for a long time. When you’re faced with the decision of choosing a warehouse vs. a distribution center, your answer should be clear, since they offer very different features. Cannon Hill Logistics is a full-service distribution center that’s dedicated to giving companies the tools they need to make their order fulfillment services flawless. Located in Frederick, MD, we have over 30 years of experience with supply chain management, and our team is fully equipped to meet your inventory automation needs. If your business is in need of a reliable distribution center, contact us at (800) 822-4747 to learn more about our services. ← Why Is Supply Chain Management Necessary in the Current Market?